In a press conference Sunday evening, IDF Chief of Staff Benny Gantz discussed how IDF soldiers warned residents of the Shejaiya neighborhood in Gaza to evacuate the area, providing Hamas with advance information on where the IDF would strike. As a result, Hamas terrorists had time to prepare to “greet” soldiers, preparing traps, ambushes, and attacks - essentially sacrificing Israeli soldiets for the safety of Gaza civilians. That, said Likud MK Moshe Feiglin, is unacceptable; Israel should not be sacrificing its soldiers for the safety of Gaza residents, supporters of Hamas who voted to put the terror group in control of Gaza. “The blood of ours sons is precious and we must not endanger it for nothing,” said Feiglin. “We must force the enemy to surrender. We have to stop supplying them with electricity, food, and all other supplies until they surrender and disarm. 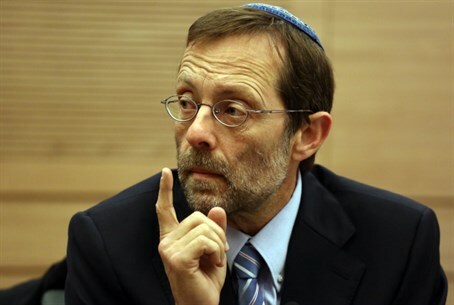 “We hope and pray that the injured soldiers who sacrificed themselves will get better,” said Feiglin. “These are the times when we must demand that the illogical pity we have for our enemies is put to an end,” he added. Thirteen IDF soldiers have been killed since Saturday night, the IDF said. The process of identifying the bodies is still ongoing. Golani Brigade, armor and engineering corps forces were met with effective close range guerrilla actions in Shejaiya, Gaza. The dead are all from the Golani Brigade. The Brigade's commander, Col. Rasan Alian, was also lightly injured.